Indeed. Part of that, if you didn’t catch it, corresponds to the fact that she lives in the Southern Hemisphere, where they’re just now heading towards winter. I’m taking the easy road and reading my dystopian novels in the bright light of summer. I know, I’m a wimp. But there you have it. Check out her reading list here. It is true. I know, because it worked for me. Sort of. I suppose in the interest of full disclosure I should admit that all the taste testers were already my friends. 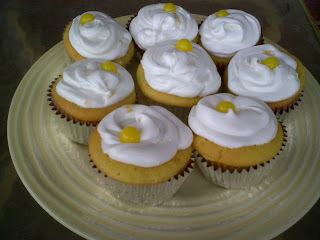 But Lemon Bar Cupcakes totally CEMENTED our pre-existing friendships. And that is kind of true. Or something. 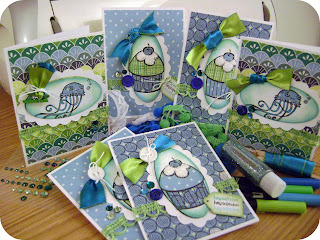 I got this recipe from Party Cupcake Ideas, via a twitter link from the fabulous author Lisa Mantchev. In fact, the lady in question is hosting a Cupcakeathon today in honor of the Perchance to Dream book publication date. Check the event out at her blog. And honestly? Go make some cupcakes! Because they’re perfect for any celebration AND for the everyday, too. Plus, extra friends. You can’t go wrong there (I don’t think, anyway). In a large bowl, mix together dry ingredients. Add wet ingredients and mix together for several minutes. Batter will be fairly thick in consistency. Bake for 20 minutes. 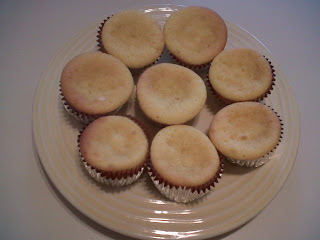 When you remove the cupcakes to cool, you might notice that they are indented in the middle. This can be smoothed out when you add your lemon bar frosting. Mix ingredients together until you’ve got something that is icing-like consistency. Scoop into a quart- or gallon-sized Ziploc bag. Seal bag. Cut a small corner of bag off. 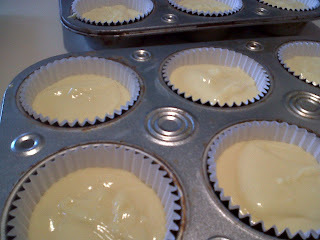 Ice the cupcakes with swirls of lemon bar frosting! Maybe it’s not gourmet, but it works. Oh! And those little yellow balls? Are chewy Lemonheads. LOVE! My friends are startlingly skeptical of my reading habits. And that’s a good thing, because it pushes my comfort zone and sometimes knocks me out of a rut. The friend who looks like Matt Damon (you remember, I mentioned him in this post?) asked me the other day to name one book I’d read recently that ‘could actually happen.’ What he wanted to know is if I ever read any realistic fiction (this is a valid question when you look through my blog over the last couple of months). I am slightly ashamed to say that I couldn’t think of any titles on the spot. But I’d heard marvelous things about I Am the Messenger from both The O.W.L. Review and Persnickety Snark recently, so I decided to bump that selection up the TBR pile and try my hand at something not fantastical. Ha. Was I wrong, or what? It’s not that it’s not realistic fiction, because it is. It’s just that Markus Zusak, author of The Book Thief, is such a skilled writer and storyteller that his tales seem magical, regardless of the absence of any so-called fantastical elements. I Am the Messenger is a mad dash into adventure, and a lesson in hope and despair. It features a disgustingly ordinary young man who discovers a mission to do something for someone. Well, it’s more like he’s forced into the mission. But it changes his life. So who is behind this plot, and what does it all mean for those living their lives on the brink? And better yet, what does it mean for our hero? Winner of the 2006 Printz honor, I Am the Messenger is a cryptic journey filled with laughter, fists, and love. Ed sounds slightly absurd, right? And his situation is. But at its heart, this tale is about someone ordinary, with an ordinary/strange life, discovering himself and viewing those around him in a new light. It’s got poignant moments. It’s also got absolutely gorgeous and gutting prose. And it lays out the brutal, gritty truth that humans have both potential for good and for harm. But Ed isn’t the only character on the scene. Ed’s dog (yes, the one addicted to coffee) has his own persona. And the memorable people that Ed comes into contact with, from his friends to his mysterious foes, are by turns interesting, sweet, sinister and heart-wrenchingly honest. These co-adventurers are what make this book tick. Zusak weaves vignettes of lives in need into the greater narrative with humor and care, and the result reads like genius. Recommended for: fans of literary fiction (yes, I promise you’ll like it! ), YA realism, zany adventures, coming-of-age stories and mysteries. Also? For all of us who wonder if one ‘good deed’ can truly change a life. To celebrate the release of the second book in her Théâtre Illuminata series, author Lisa Mantchev is instigating (I mean, hosting) a cupcakeathon. I will be posting my review of Perchance to Dream and results of any baking on Tuesday, which is publication day. BUT. In the meantime I have the results for my giveaway of a paperback copy of Eyes Like Stars, an ARC of Perchance to Dream, and some fairy-glittery-cupcakey goodness. 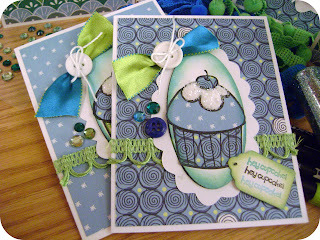 The extra-lovely paper goods (read: set of 6 beautiful cards) were crafted by my sister, Ginny. She has more photos on her blog. I just gave her some parameters about what I wanted (blue/green/lovely/fairy/glittery/undersea), and she came up with these gorgeous specimens. I think they fit Perchance to Dream to a T.
“Since I'm always always going to plays and musicals it’s really hard for me to choose an all-time favorite, so I'll pick my favorite that I've seen THIS year. Many thanks to all who entered! Your comments about plays and operas and films were inspiring and wonderful. In other words? You rock. Keep it up. 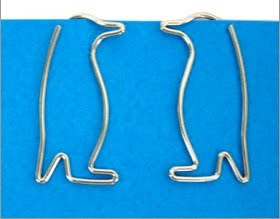 Even if I’m minding my own business on the internet, I sometimes run across things that scream CUTE! 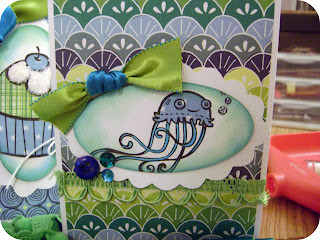 WHIMSICAL! AMAZING! Or in other words, ‘BUY ME NOW, sucker!’ And this time I didn’t refuse. 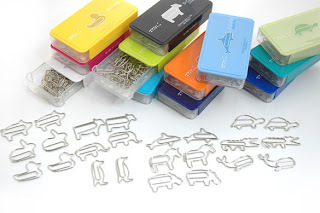 These are called D Clips instead of paper clips, and are designed by Midori Stationary in Japan. 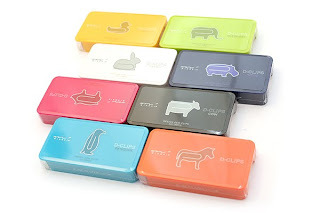 I bought mine (whale, squirrel and chickadee) from JetPens. I did not receive any monetary compensation for this post - it's just me and my internet shopping habit. I went to Chile (and fell in love with it) in the summer of 2004. I went to Spain in the fall of 2004. I bought this book in Spain. And I have taken it EVERYWHERE with me. It survived the after-college book purge, another trip to Chile, moves to Florida, Georgia, and Seattle, and it now resides on a shelf in my DC apartment. I always mean to read it, but somehow it never happens. That may also be due to the fact that I bought the Spanish-language version, and I read about three times slower in Spanish than in English. One day I will read this book! Sigh. I love Shannon Hale’s books. I read The Princess Academy, The Goose Girl and Book of a Thousand Days in quick succession. And then I bought Enna Burning and River Secrets…and they’ve just been SITTING. ON. MY. SHELF. Accusing me, making me feel guilty, and proving that even with books by the authors I love, I can still be the ultimate procrastinator. Probably not something to put on the résumé, eh? But I intend to read this one by December, because it's on my 'Once Upon a Time' reading challenge list. As a long-time fan of The Scarlet Pimpernel and the Regency period in general, it is a travesty that I haven’t read this book. It was a birthday gift, and a good one. From the year 2007. I just have never gotten around to reading it. But I will, never fear! Because the cover is just too gorgeous, and one of these days (probably a rainy day, with hot chocolate) I will discover just how much of a fool I’ve been to delay. What are three books you’ve put off reading?